Engaging a digital agency to deliver online projects and campaigns for your business can be a tricky process, due to the complexity and constant evolution in the field of digital marketing. An agency might describe itself as a “digital marketing consultancy”, an “e-business consultancy” or a “digital media strategist”, and its services may include website and content development, online advertising, site tracking, reporting and other data analytics, mobile marketing, email marketing and deployment, social media monitoring, or even “information architecture”. Full Service or Niche or Specialised Digital Marketing Agency? 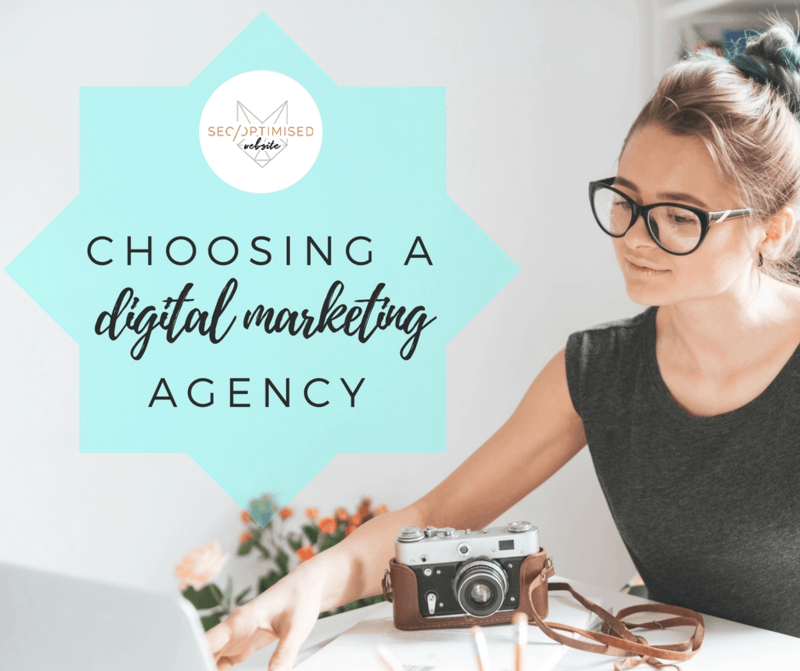 Hiring a digital marketing agency that can cover many angles is increasingly an attractive option for businesses seeking a one-stop digital shop. However, it may be preferable to seek out a niche agency where you can target specific skills that will deliver value to your business. Apart from the confusing multi-disciplinary nature of digital marketing, there is also the fact that the success of a project or campaign is usually only measurable after a certain period of time. So, if your business plan involves increasing your digital spend and is looking to hire a digital agency, how can you ensure you select the best partner and reduce your risk? Begin with an analysis of the scope of the project and what your business actually needs done. What does your brand need, and what marketing do you really need? When preparing your brief, know the specific problem you want to address (eg. “increase our web traffic”), as well as how you will measure success (eg. KPIs or sales targets). Compare quotes to get the best team for the best price. Communicate your project budget. It may be difficult to define, but it’s important to be upfront with your agency as to available budget, since campaigns are delivered based on spend. Ensure your brief spells out how reporting on project management and tracking results should take place. When considering a digital agency, look at their reputation, case studies and relevant experience; the quality and success of their work; the experience and skill bases of key personnel; whether the agency will be accountable for the entire campaign/project or whether they will outsource. Negotiate fairly. When negotiating, it’s best to be flexible while being aware of your deal breakers and the potential concessions you are willing to make. Have a break clause. These checkpoints tend to be at 3 or 6 months and can help demonstrate when an agency isn’t delivering. Sometimes there may be a good justification for not hitting a target, but without a break clause, you simply have less options as to how to move forward. Conduct reference checks. Do this before signing any contracts. Do you need any assistance with determining what sort of digital marketing services you require? Please call us at SEO Optimised Website to discuss your business’s unique needs. Something else to consider is companies who do charity work, for example our pledge to assist dog and cat rescue groups with free SEO.